Some of us aren’t lucky enough to have a newly opening cat cafe in our area. Fortunately, the cat cafe concept is quickly spreading across North America and the rest of the world. A majority of up and coming cafes have donation based fundraisers to help kick start their organizations or businesses. Many cat cafe campaigns are through the site Indiegogo, a major crowdfunding engine. This website helps to raise the necessary funds to support opening a cat cafe in a community. Donations and support are a very important aspect to starting a cat cafe in the community. Continue to check back here for updates on opening cat cafes. If considering opening a cat cafe in your area and would like support, reach out to catnapchronicles@gmail.com. We would love to support your dreams and lend a hand, er paw, to kitties worldwide. Coming soon to the city of Seattle. Check for updates on the Seattle Meowtropolitan website. 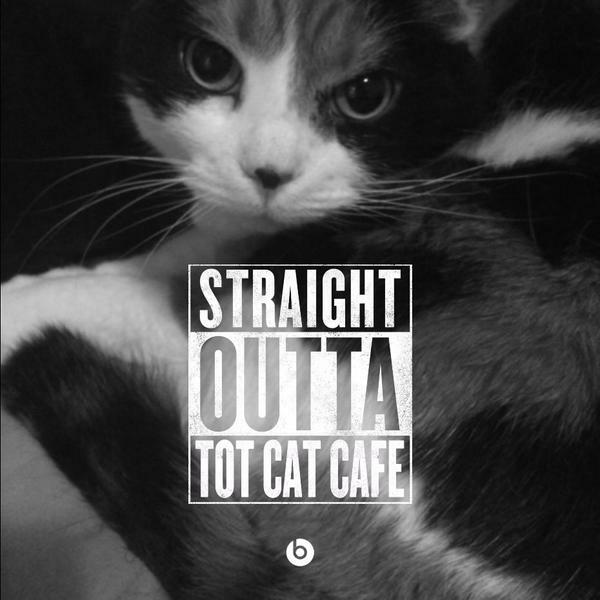 Follow your paws to their online store to support the cafe. Receive updates by following Tot the Cat Cafe on Facebook. Check out the Cafe Meow’s website for updates on opening dates. Cafe Meow is hiring local cat lovers! CatFe is scheduled to open in Fall of 2015. In the meantime, follow their blog for breaking mews.